Susan Renee Steinberg Udell, 52, of Cedar Rapids, Iowa formerly of Dubuque passed away on November 3, 2018, at the University of Iowa Hospital and Clinics. Mass of Christian Burial will be at 11:00 a.m. Friday, November 9th, 2018 at Holy Spirit Parish, Sacred Heart Church with Rev. Andrew Awotwe-Mensah officiating and the homily by Deacon Dave Brinkmoeller. Family and friends may gather after 10:00 a.m. at the church until time of mass. Entombment will be in Mount Calvary Cemetery. 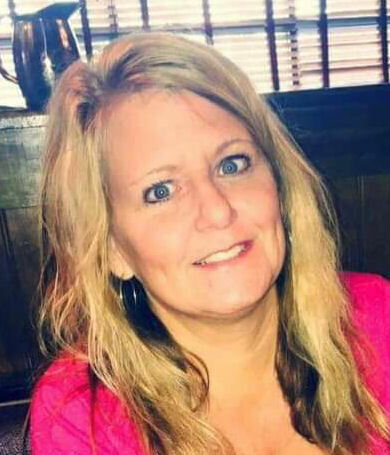 Visitation will be from 4:00 p.m. to 7:00 p.m. Thursday, November 8th, 2018 at Leonard Funeral Home & Crematory, 2595 Rockdale Road where a wake service will be at 6:45 p.m.
Susan was born on May 31, 1966 in Dubuque, Iowa the daughter of Edward and Patricia (Nilles) Steinberg; and graduated from Wahlert Catholic High School in 1984. She worked at several Dubuque businesses including Nordstrom’s and Sedwick before moving to Cedar Rapids. She enjoyed being with her family especially her cousins in the “Granny’s Lunch Bunch”. One of Susan’s greatest loves in life were her many dogs, who are waiting for her at the rainbow bridge. Susan was a caring individual, she will continue to live on in others by giving the gift of life by being an organ donor. She is survived by her parents, Edward and Patricia Steinberg of Dubuque; one brother Christopher (Julie) Steinberg, of Cedar Rapids. Her niece Maggie, nephew Thomas along with aunts, uncles and many cousins. Susan was preceded in death by her grandparents, Al and Lucille Nilles and Al and Leone Steinberg. The family would like to thank St. Luke’s Hospital in Cedar Rapids and the University of Iowa Hospital and Clinics along with the Iowa Donor Network for all the care, kindness and compassion they gave.